Rental Management in Bethel, Maine | Maine Ski Lodging Co. Renting your property with Maine Ski Lodging Co. is easy and worry free. 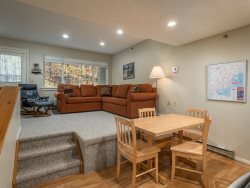 With over 75 years of combined real estate and rental management experience, Maine Ski Lodging Co. is the choice for short-term vacation and seasonal rentals in the Bethel and Sunday River area. We offer our guests a wide selection of properties from ski-in / ski-out condominiums at Sunday River Resort to private luxury homes and everything in between. Please contact us if you would like to discuss the benefits of adding your property to our rental pool. 100% credit card fees paid by Maine Ski Lodging Co.